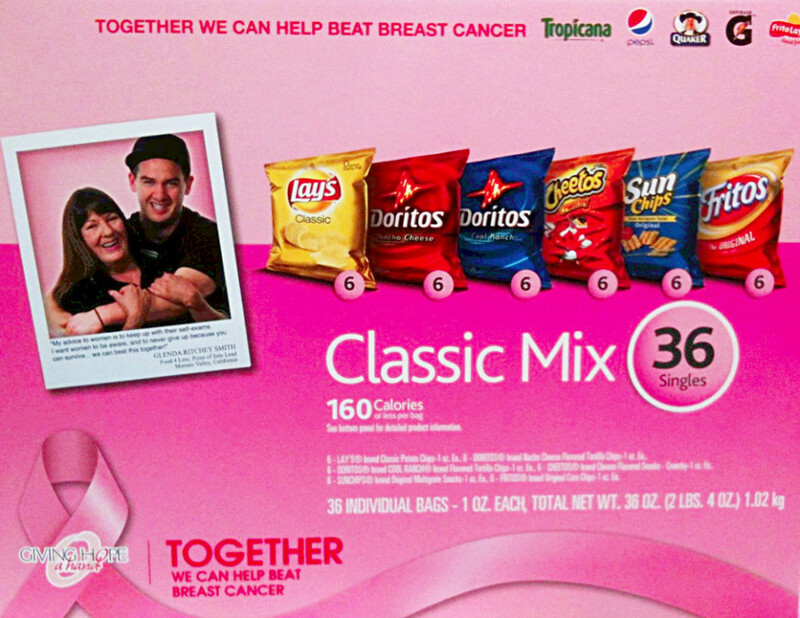 Weighty Matters: Badvertising: Cheetos cures breast cancer. If you haven't come across the term it refers to the use of breast cancer fundraising to sell unhealthy products or services and in so doing provide them with a sheen of goodness. Not sure that anyone's ever going to be able to do anything about it, but that doesn't change the fact it's reprehensible. Apologists will likely bleat that I'm bashing corporations who are trying to do something good. They forget the fact that corporations do things to sell products and that engaging in non-profitable activities would in fact put publicly run companies at the risk of shareholder lawsuits. If corporations truly wanted to just do good, they'd hand over big juicy cheques to charities. If their donations are dependent on sales you can bet your bottom dollar the fundraising tie in will be making them at least as much money as they ultimately end up giving to the charity. Regarding Cheetos and other potato chips in the battle against breast cancer I'll remind you that according to the National Cancer Institute, obesity increases the relative risk of developing post menopausal breast cancer by 50%. They also report that maintaining a body mass index of 25 could prevent 11,000 to 18,000 deaths per year from breast cancer in U.S. women over age 50, that breast cancer is more likely to be detected at a later stage in obese women than in lean women, and that weight gain during adulthood has been found to be the most consistent and strongest predictor of breast cancer risk in studies in which it has been examined.